Let us know of the timing when your child is at his/her best mood. That way we’ll be able to work around the baby’s timing. Some babies are happier in the morning after a good night’s rest, while some are better in the evenings. Be on time for shoots. This is important for outdoor shoots especially as we don’t want to miss the best lighting during the day. The best time in terms of lighting are between 7.30 – 9.30am and 5 – 7pm. It tends to get warmer after 9.30am, which might mean a cranky kid! It’ll also be a shame to miss out on good lighting for your shoot! Talk to us! Communicate the ideas that you might have for your shoot with us. Some parents might like to have a picnic, while others just want a casual day in the park. Share with us the list of props that you have. With all the above, I present you… Edwin, Priscilla, Joseph, Joy-Anne and Isabel. If you think the family looks familiar, you are correct! 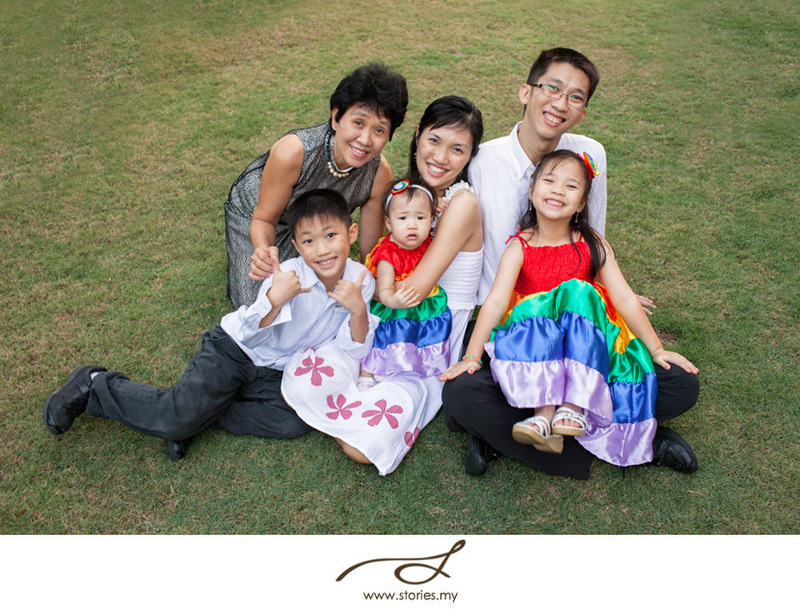 Grace has previously photographed this lovely family. Now that they have Isabel as the youngest child in the flock, they have contacted us for another session. This time, this set of images was created by Weiming and I. This family is no stranger in-front of the camera, so it didn’t take too long for the kids to start warming up to us. I love Joseph’s expression when we asked Joy-Anne to kiss her brother! We took Edwin & Priscilla aside for some couple portraits. It was their wedding anniversary and amazingly, Priscilla was still able to fit into her wedding dress even after 10 years! We absolutely love this shot by Weiming! 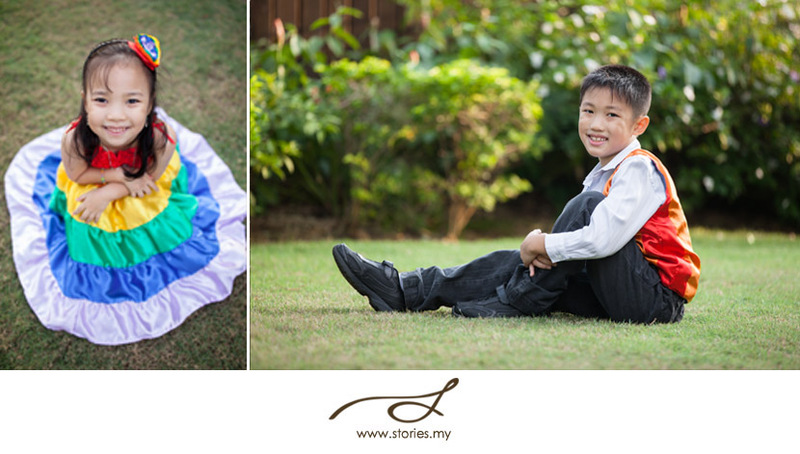 The kids had a change of clothes and came back with cute little rainbow-coloured outfits! What’s even more amazing, is that Priscilla made the outfits herself! Baby Isabel became a little too tired, so she fell asleep in mommy’s arms. Happy 10th anniversary, Edwin & Priscilla! God bless you and your lovely family! Wow! The photos are awesome! The kids seem to enjoy the photoshoot. This is absolutely fun!